Lan Pan Asian Cafe brings a unique twist to Pan Asian cuisine tying in flavors from Japan, China, Korea, Thailand and Vietnam. Zagat rated, and named one of Miami’s 8 under the radar Japanese restaurants… you must visit! Located in the Dadeland Station in South Miami, this casual no-reservations needed restaurant doesn’t try to frill you with a fancy over the top ambiance, but rather lets it’s food speak for itself. Asian cuisine is not normally recognized for it’s gluten free options, but head Chef Johnson Teh, brings over 20 years of experience to the kitchen and has found innovative ways to introduce a colorful array of flavors to the menu. Noticing an increasing amount of request for gluten free options, Chef Teh took it upon himself to create a menu that accommodated the new growing demand. The menu has a wide variety of gluten free friendly options, and Chef Teh will be adding many more in the near future. 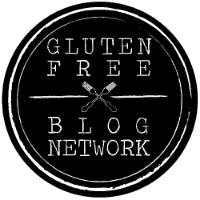 Please scroll down to the end of the article for a detailed gluten free menu. We started our meal with a plate of sushi rolled in thin slices of cucumber instead of rice called Red Island. This curious combination is not only gluten free, but it’s low-carb as well! We were a bit apprehensive before taking the first bite, but boy were we surprised. The cucumber’s crispiness brought a nice crunchy texture to the roll. If you’re a fan of sushi, I’d definitely give this a try. It’s almost like eating individually wrapped tuna salads. Next up, we tried the Fiery Spinach: wok-seared fresh spinach with chili, garlic, and a touch of sesame oil. Served warm with whole seared chili peppers garnishing the dish, this spicy treat will surely get your appetite going. If you’re not afraid of a little kick in your food, this dish is for you. make sure to eat the nicely seared chili pepper in your bowl, they’re truly the stars of this plate. Last but not least, in the list of starters was a nice warm plate of fried tofu simmered in a ginger-sesame sauce with bok choy: Ginger Tofu. If you’re looking for something light and not overly filling before your entree, this is the dish for you. Next, we sampled the Deluxe Bagel Roll: smoked salmon, cream cheese, scallion, and cucumber rolled in rice and topped with fresh salmon. The smoked salmon and cream cheese combo is one of our favorites and it doesn’t hurt that all the ingredients are super fresh and great quality. Afterwards, we had a rather generously sized plate of Vegetable Flat Noodles. Seasoned with gluten free soy sauce, filled with meaty chunks of mushrooms and filled to the brim with yellow zucchini, snap peas, onions, and bean sprouts. This is a great dish to share with the whole table. The final entree we had at Lan Pan has to be our absolute favorite from the menu: Red Curry Chicken. Marinated chicken, sweet potato, cremini mushrooms, spinach, and bell peppers in a red curry coconut broth, served with a side of white or brown rice. If you’re a lover of curry, this is the dish for you! Large portion, easy to share, with plenty of chicken and sweet potato bathing in a creamy curry with plenty of extra sauce to drown your rice in. You really can’t go wrong with this one, it’s definitely a Munch Miami favorite. We suggest you order some extra rice for the leftover curry sauce… you definitely won’t want to leave any behind. Now, you definitely won’t come across many gluten free options for dessert at most restaurants, but at Lan Pan you have quite the selection. Their Coconut Flan is a creamy homemade coconut custard and was the perfect dish to finish off our meal. Not too sweet, creamy, or heavy on the coconut and hey… who doesn’t like flan anyway? Last but definitely not least, you’ll definitely want to order one of their many Bubble Tea options. With over 30 flavors to choose from, you’re sure to find the one that you just can’t do without. We can’t visit Lan Pan without ordering a Taro Snow Bubble Tea. Taro is starchy root vegetable that has a fun purple color to it with natural sugars that give it a sweet nutty flavor. If you order any of the teas, we highly recommend the Taro Snow Flavor! Lan Pan’s new gluten free menu has made us instant fans. We will definitely be visiting way more often. Check out their lunch specials and taste some of the best Pan Asian food South Miami has to offer!